Is severe toothache preventing you from doing your everyday chores? Is that throbbing tooth pain restricting you to eat anything? Is your tooth pain giving you sleepless nights? If yes, then it’s high time you try out remedies to get rid of it. 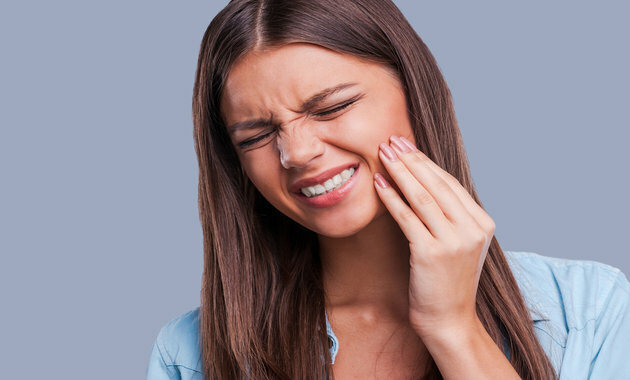 Well, it might not be a great idea to grab a pain-relieving balm or pop a pill to get rid of the debilitating pain every time you suffer a toothache. However, there are a few home remedies that can help you to treat toothache naturally which you can give a try. Moreover, these are not only easily available as they can be found in your kitchen but also effective in nature and do not cause any side effects. This is the reason many people prefer natural remedies for tooth pain then try medicines. You can prevent tooth pain by following basic oral hygiene such as brushing your teeth twice a day and regularly visiting your dentist’s clinic. However, if you are suffering from a toothache, then you need to try these simple home remedies to relieve a toothache naturally. Cloves are long been used as a traditional home remedy to get rid of a toothache. This popular spice is packed with anti-inflammatory compound, known as eugenol, which not only reduces inflammation in the mouth which leads to toothache and also alleviates tooth pain. Moreover, clove also contains an essential oil which makes it a wonderful analgesic agent and natural antiseptic compound, helping you to deal with tooth pain. How to use it: You can use cloves either in the intact form or as its paste or oil. Here’s how to use to get rid of a toothache. – Whole clove: You can either chew a clove or hold one between the teeth such that the bud is placed over the aching tooth. This will cause a slow release of the chemicals and help you to get rid of the pain. – Clove paste: Grind a couple of clove buds by adding a few drops of olive/coconut oil. Apply the paste on the aching tooth and gently massage the gums with this mixture to get rid of tooth pain. – Clove oil: You can even use clove oil to soothe toothache. Dip a cotton ball in clove oil and place it on the affected area. Remember to dilute it before use as using the concentrated might cause stinging. Also, you might even experience numbness of the gums for a few minutes after application. Turmeric contains curcumin as its active ingredient. The compound has powerful anti-inflammatory properties that help treat the inflammation in the teeth, which is responsible for tooth pain. Moreover, it also has antibacterial properties and antiseptic properties to reduce the infection. The pain relieving properties of turmeric are responsible for alleviating toothache naturally. How to use it: Grab a raw pod, grind it by mixing it with warm water to make a thick paste. Apply this paste gently on the distressed area for fast relief. You can even use turmeric powder if turmeric pod is not available to deal with toothache at home. Allicin is the active component of garlic, which is renowned for its anti-microbial, anti-inflammatory and analgesic properties. The analgesic properties of garlic help in relieving the pain whereas the anti-inflammatory compounds in the spice help in lowering the inflammation. It is also known to lower the risk of infections because of its antimicrobial nature. How to use it: You can use garlic in the form of its paste or as garlic oil. Here’s how to try it. – Garlic paste: Crush a few cloves of garlic in mortar and pestle. Also, add a pinch of black salt to garlic cloves and make a paste. Apply this mixture to your tooth and gum for a lasting respite. – Garlic oil: Sprinkle a few drops of garlic oil on a ball of cotton and placed it on the painful area for similar results. Have you ever thought that a pinch of salt can act as a home remedy for toothache? Yes, salt is packed with analgesic and anti-inflammatory properties which help in relieving toothache naturally. Moreover, cleaning your teeth with salt is known to prevent a microbial attack and also keep your teeth clean. How to use it: To use salt for toothache, all you have to do is apply a pinch of salt to the affected tooth and gum area. Alternately, you can make a paste with water, table salt, and pepper and apply it to the tooth to get rid of it. The benefits of this treatment are best experienced when used on a daily basis. Guava leaves are packed with flavonoids, which are responsible for antioxidant and anti-inflammatory properties. The leaves not only help in maintaining oral hygiene but also lower the risk of bacterial infection, which can further worsen the condition. The antimicrobial, pain-relieving and anti-inflammatory qualities make these leaves an excellent choice to treat toothache naturally. How to use it: Grind fresh guava leaves and mix the residue with rock salt (sendha namak) before applying it on the teeth and gum. The leaves can also be boiled in salt-water to create a healthy mouthwash and use it every day to prevent toothache and other oral problems. You can even pluck a few leaves and chew it to alleviate toothache instantly. Ginger forms an integral part of Indian cuisine due to its unique flavor. But do you know that this spice in the Indian household has a powerful medicinal value? Yes, ginger is used as a home remedy for toothache because of its anti-inflammatory properties. Moreover, antibacterial properties in ginger can also help treat minor infections, wounds, redness and swelling commonly seen along with toothache. How to use it: Mix a teaspoonful of ginger paste/powder with water or honey and apply this mixture on the affected tooth. It not only alleviates the pain but also helps you to treat the bacterial infection that might be responsible for tooth pain. But make sure you exercise caution because the concoction is very pungent and children can find it very difficult to handle. These natural fixes along with regular habits like brushing your teeth before bed, avoiding carbonated drinks and sugary foods, using dental floss and going for regular dental check-ups to prevent toothache and other dental problems. Stay Healthy, Stay Happy! March 20 is observed as World Oral Health Day every year. The aim is to raise awareness about oral and dental health and the importance of oral hygiene worldwide. Are You Brushing Your Teeth the Right Way? 1. Taher YA, Samud AM, El-Taher FE, ben-Hussin G, Elmezogi JS, Al-Mehdawi BF, Salem HA. Experimental evaluation of anti-inflammatory, antinociceptive and antipyretic activities of clove oil in mice. Libyan J Med. 2015 Sep 1;10:28685. 2. Bayan, L., Koulivand, P. H., & Gorjil, A. (2014, January-February). Garlic: a review of potential therapeutic effects. Avicenna Journal of Phytomedicine, 4(1), 1-14. 3. Huynh, N. C., Everts, V., Leethanakul, C., Pavasant, P., & Ampornaramveth, R. S. (2016, July 21). Rinsing with saline promotes human gingival fibroblast wound healing in vitro. PLoS One, 11(7). 4. Vieira, D. R., Amaral, F. M., Maciel, M. C., Nascimento, F. R., Libério, S. A., & Rodrigues, V. P. (2014, September 29). Plant species used in dental diseases: ethnopharmacology aspects and antimicrobial activity evaluation. Journal of Ethnopharmacology, 155(3), 1441-1449. ← Feeling Low? Try These 10 Effective Tips To Stay Happy!